Three or four years ago I planted several types of fall bulbs in the then-new planting beds along the driveway. Tulips, daffodils, crocus, and a few alliums. The tulips were only added because they were on clearance because I knew the deer would eat them -- the others should be avoided by the deer. 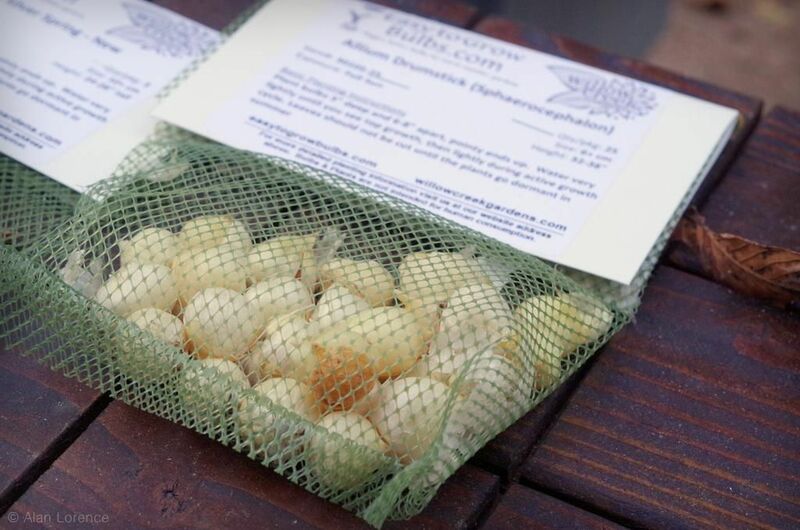 My favorite by far were the alliums, and even though I had planted only purple types, labeled as A. aflatunense and 'Purple Sensation' -- which is a cultivar of A. aflatunense it turns out -- (as seen in this photo), I had one tall white allium grow too (photo here). 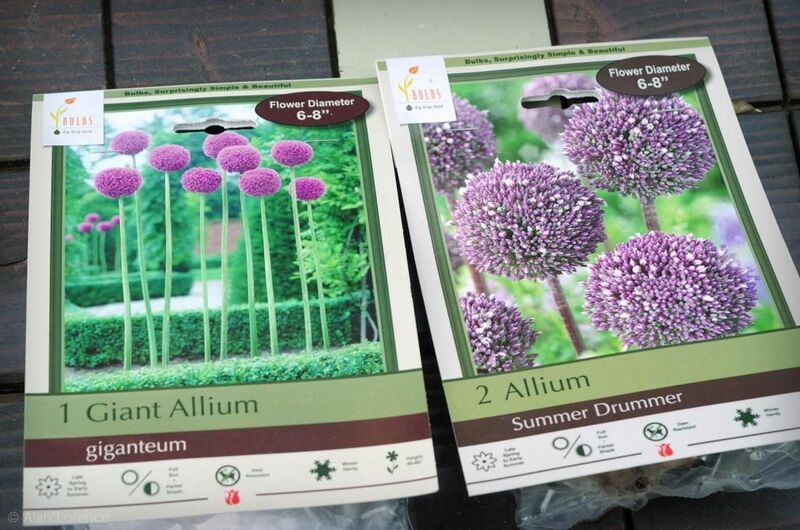 I loved these, and decided this summer that I'd be adding more alliums to my garden this year. I had two "must have" species on my list, thanks to Scott at Rhone Street Gardens posting wonderful photos of his every year (like this, and this). I didn't stop at just those two though. 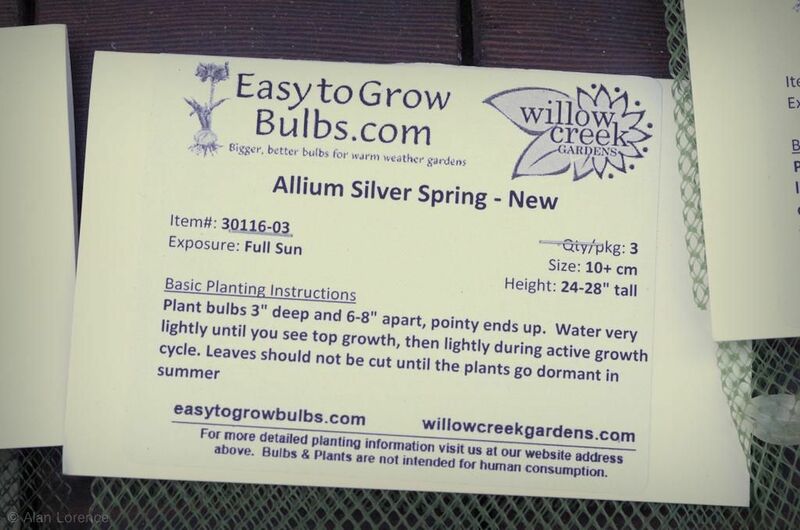 I bought from Willow Creek Gardens mainly because they were the first place I found that had both of the above types in stock. 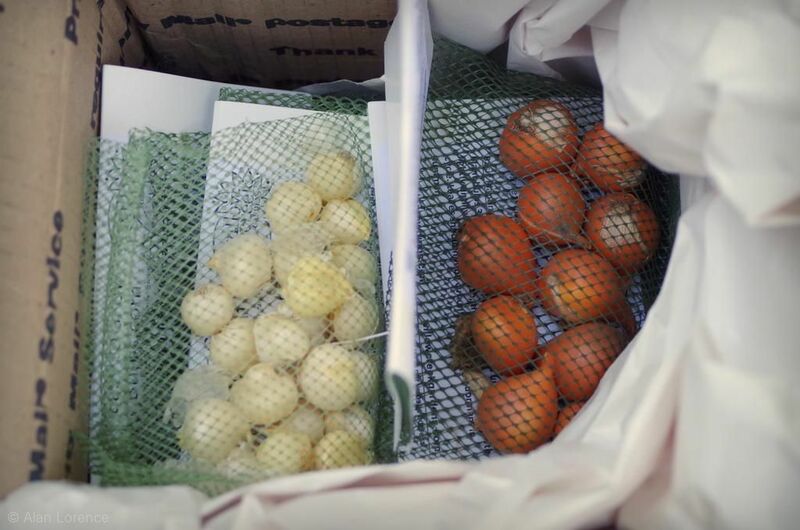 I was entranced by two new varieties they carried though so added them to the cart too! I'm not sure where to plant these, as they almost certainly will be deer food. Perhaps a pot on the deck is the way to go? 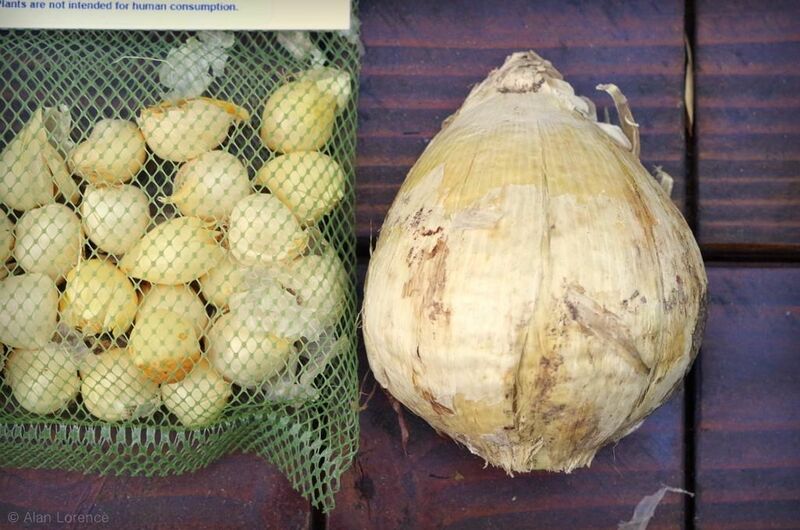 ...can you tell which is A. giganteum ($8 for 1) and which is A. sphaerocephalon ($6 for 20)? 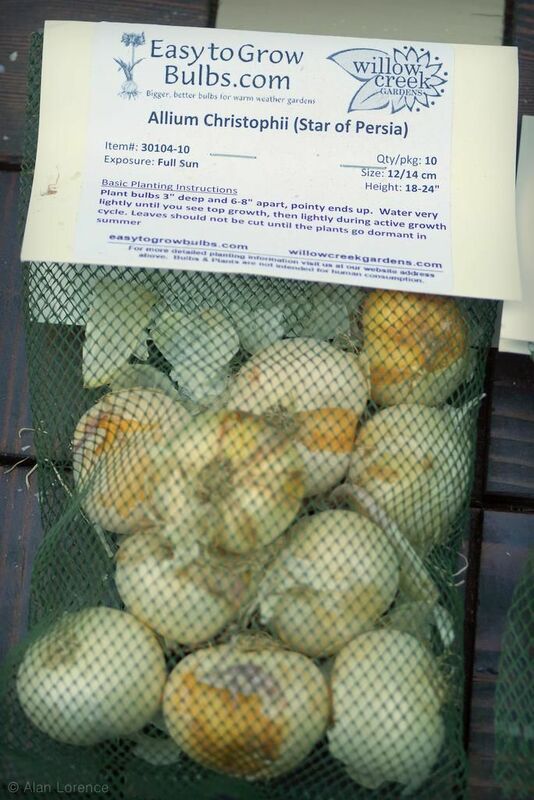 I plan on planting these in the next couple of weeks. It's going to be an exciting spring and early summer next year! 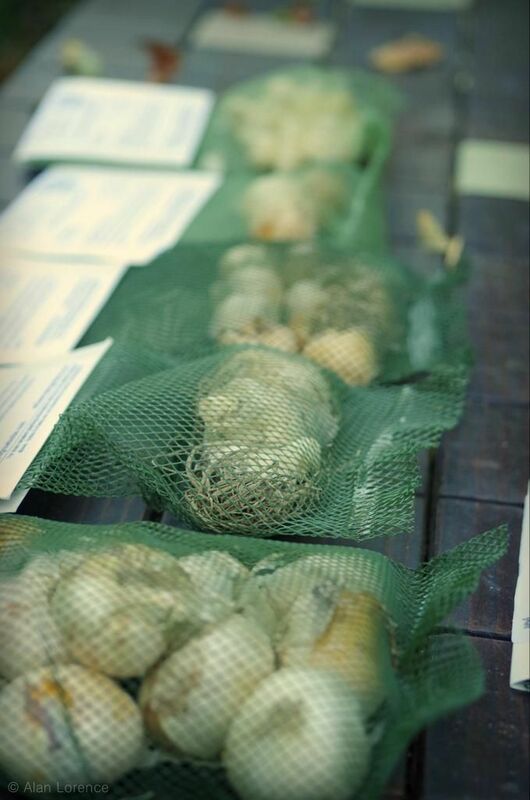 Are you planting any exciting bulbs this fall? 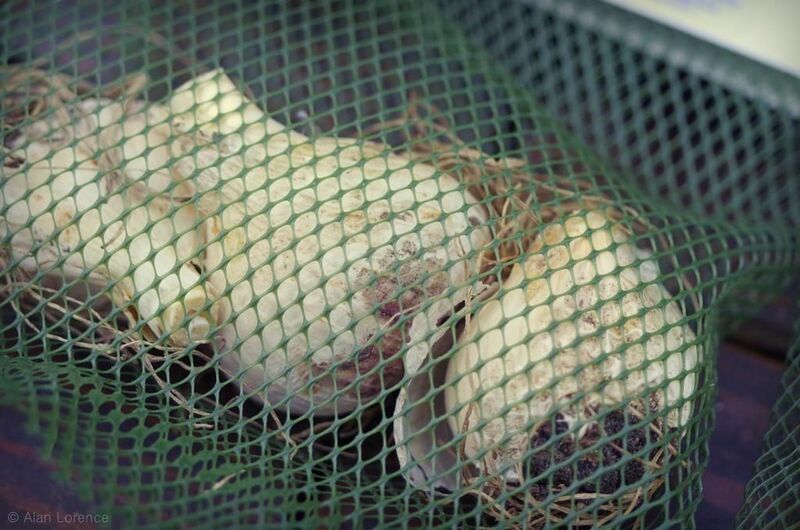 You're so lucky to be able to grow these. I've tried and failed several times, don't know why exactly. 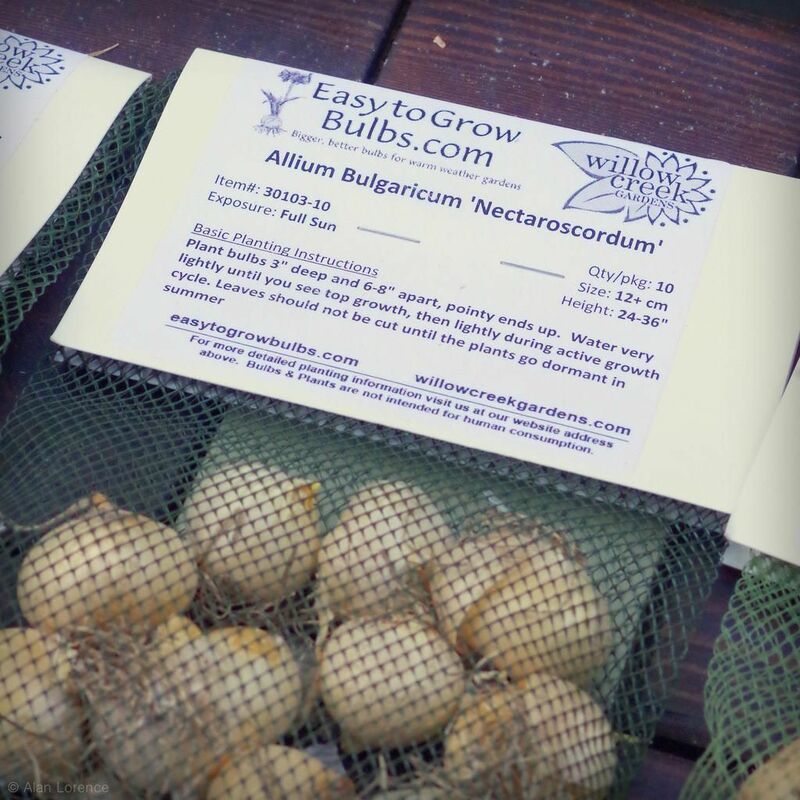 Looking forward to seeing you allium bounty in 2016! 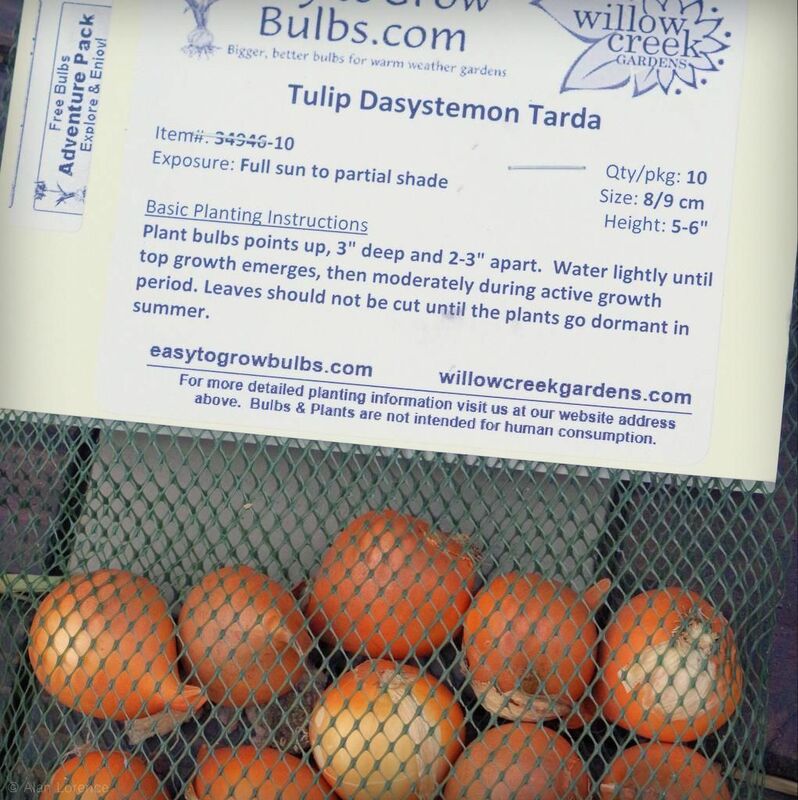 Gerhard: Willow Creek Gardens is in CA, and indicate that at least some of these will thrive not only in cold climates but even in San Diego (for example). I'm so glad you're embracing the Allium love...and yes...I'm obviously smitten! You actually have a few I've never heard of...must research! Not a single bulb going into my garden. I'm a bad gardener. 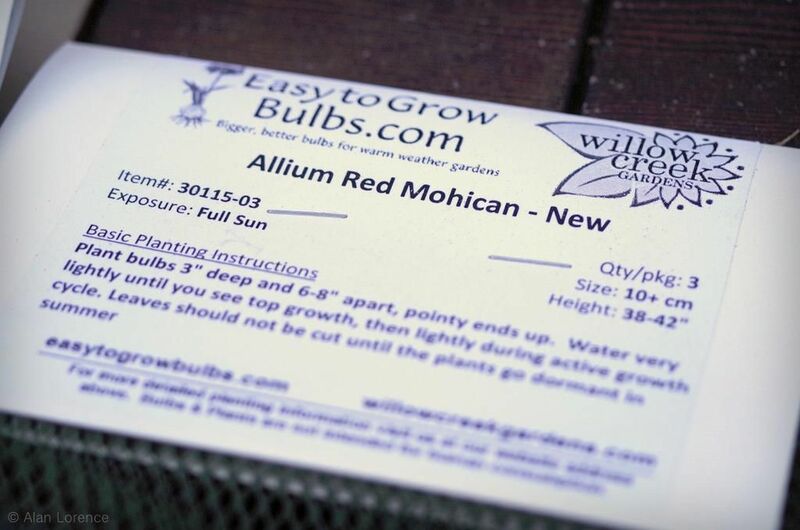 Allium are on the "must add" list for my garden. I'm partial to the purple and lavender allium. I'd be interested to see pictures of the results you get with your new additions. Loree: So you're a corm or tuber girl? I hadn't planted a single bulb until a few years back, and now I'm hooked! Charlie: I'll certainly be posting photos when they bloom!